My brain barely can take in the jumble of information flowing out of Charlottesville as I make the 11-hour drive from Pennsylvania to Indiana on Saturday. The airwaves are full of new reports and the headlines change hour by hour, though I’m not keeping track of breaking news on Facebook and Twitter because I’m on the road. When I arrive home, I read John Pavlovitz’s Yes, This Is Racism column and take to heart his comment that “It’s necessary to condemn it so that we do not become complicit...” By Sunday evening his piece has been shared more than 25,000 times on Facebook. 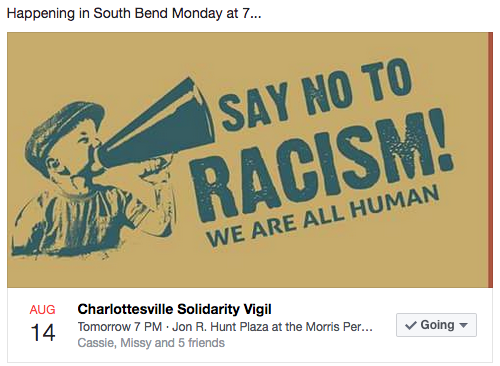 Sunday morning I repost another Facebook friend’s message: “We MUST NOT TURN AWAY. In our churches, in our schools, in our boardrooms, in our classrooms, we must face every vehicle of supremacy, in every form...the way some benefit, the way others don’t, if we are to ever be “We the people,” if we are ever to be faithful to the sacred image in every human being. If we are ever to be free.” You can read her message in its entirety here. Where are our glimpses of healing and hope during this week that hopped, skipped, and jumped from chatter about the threat of nuclear war between North Korea and the United States (see The Mennonite’s response to that threat here) to violence perpetrated by Americans against other Americans? What are our stories of beginning to make things right? How will we in our Kern Road congregation respond? Since this weekend’s violence in Charlottesville, I have noticed the hashtag #silenceisviolence showing up here and there. May we not fall into the silence trap. 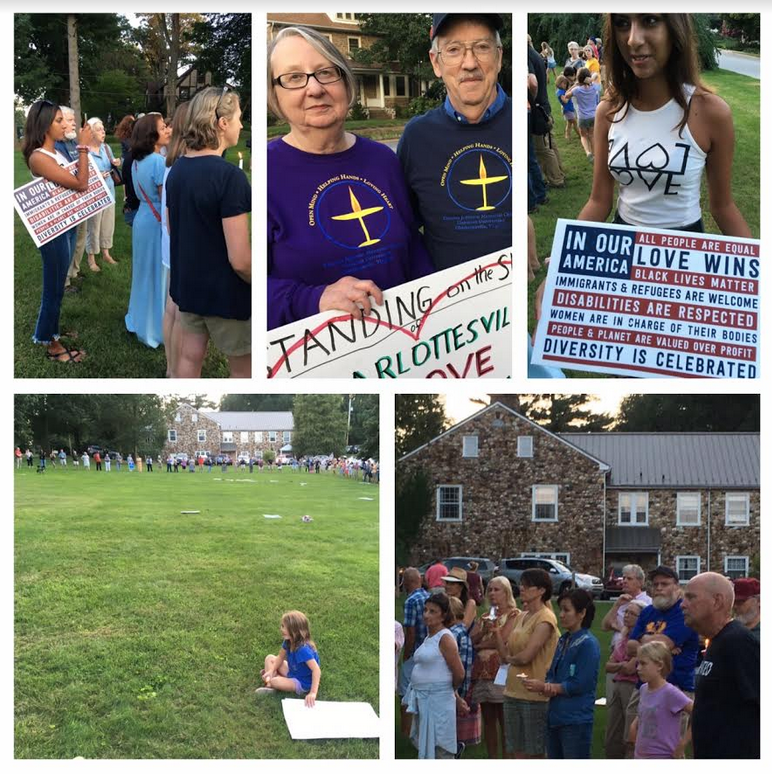 Here’s a story from my Quaker friend Sue’s Facebook feed that gives me hope about standing against the kind of violence Charlottesville saw this weekend. And here’s a late-breaking response from Brian McLaren.